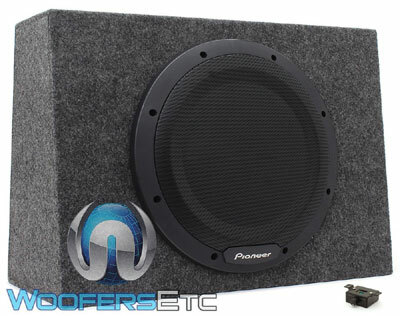 A subwoofer is one of the main components for your home or car audio system. It enhances the sound experience with proper bass content as well as a special effect to your ears. Music listening is something extraordinary with a powerful subwoofer. Your home or car is quite incomplete without a subwoofer. So it is highly important to have a quality subwoofer in your home. A good subwoofer can transform your listening experience and watching in a better way and offer a different sensation. So pick a right subwoofer for your living room and feel like being in a concert or music festival with the right tunes from the below list of Best Subwoofers Under $200. 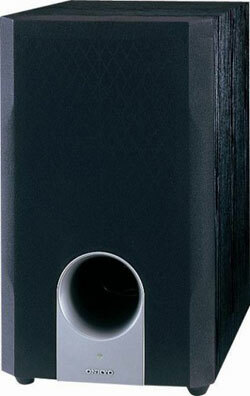 It is quite difficult to get the best subwoofer for yourself, as there are numerous subwoofers available in the market. It is also quite confusing to choose the best one if you don’t know much about its features and If you are in the search of the best subwoofers under $200, here is our list of the best home subwoofers under $200 by which you can enhance the audio experience in your home. With this guide, you can buy a subwoofer that is worthy and valuable. Give an insight into the best subwoofers for you and make it easy to find the best one as per your requirement. You don’t have to waste your precious money, just scroll down our list. The Polk Audio PSW 10 inch subwoofer model comes with outstanding bass and is quite compact in size. It offers a 100W peak power with minimal distortion due to the Klippel distortion analyzer. Polk Audio PSW is also furnished with the Laser interferometry technology that analyzes the distortion and cut it out by optimizing the structure of woofer motor as well as voice coil alignment. It comes with an eye-catching look and the front-firing cone offers a perfect response of 30 to 200Hz. So the Polk Audio PSW 10 is the best low-end subwoofer. It remains steady and stable during the high volume as well with the proper utilization of power. It is equipped with two audio speaker inputs, outputs along with a downward firing floor coupled port. The subwoofer comes with two types of the circuit such as smart sensing circuitry and compression circuitry. The smart sensing circuitry guards the subwoofer in case of any damage and turns off an on as per requirement. On the other hand, the compression circuitry decreases the distortion during the high volume mode. 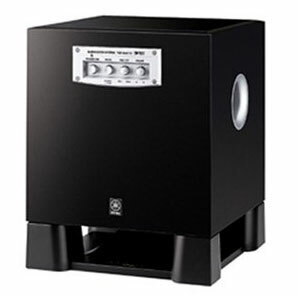 This subwoofer is quite good for those who like to enhance the music listening experience along with high sound quality. And you can connect this subwoofer with any system without any difficulty. So we can say that Polk Audio PSW 10 is one of the best subwoofers under $200. 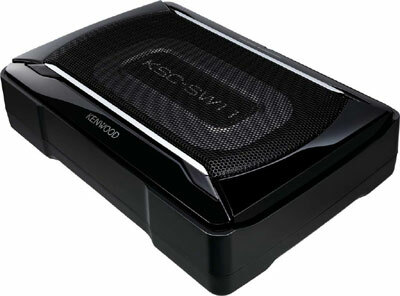 The Kenwood KSC-SW11 is the smallest best under seat subwoofer in this range and also affordable. This 8.25 x 5.15-inch subwoofer comes with a rectangular shape and quite suitable to get fit in smaller enclosures. 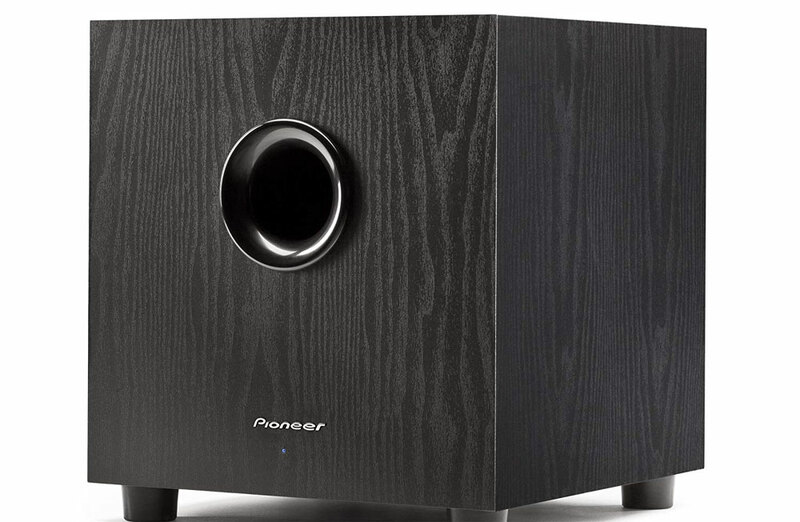 It sounds quite good and a perfect low-end subwoofer for your home. This is an under-seat subwoofer and comes with a little bit aggressive sound. But at the highest level of sound, you can feel some distortion and clipping. The subwoofer comes with a 75W amplifier and sounds great on the sweet spot just above the fifty percent volume. It comes with three controls such as two dials for the volume and crossover frequency along with a switch for controlling the phase. You can access these controls with the available remote as well. This is one of the best under-seat and a reasonably priced subwoofer with good performance and comes with a classy and sporty look. If you are looking for a subwoofer for smaller spaces, then this is the right one for you. You can install and use this subwoofer quite easily. It may not give you a power-packed performance, but can give you a different sensation while listening to music. The Planet Audio Anarchy subwoofers are the best subwoofers for music that please your audiophile. It offers a clear and powerful bass. The AC12D Planet Audio subwoofer comes with a 12-inch Dual Voice Coil feature along with 1800 W peak power. A polypropylene cone, effective voice coils and last but not the least an open design makes it stand firm in the category of best subwoofers. The Dual Voice Coil feature allows you the options of wiring configuration. In case of extra subwoofers this feature can be used to optimize the ampere power output. For medium and high-power applications Dual voice coil subwoofers are quite good. It increases the power handling feature as well. A subwoofer flourishes well in a ported enclosure. It is comparatively bigger than the sealed enclosure and offers a great SPL output with better bass and performance. Whereas a subwoofer with a sealed enclosure provides a tight and rock-hard bass. These types of enclosure are much easier to use and requires less space. The Planet Audio AC12D subwoofer is the best if you are looking for a heavy-duty unit for your home. If you like the loud sound, then own this 1800 W power rating subwoofer. Acoustic Audio’s subwoofers are the best options to enjoy action movies and sports. It increases an impact to your watching and listening experience. It is a smart move to own this classy subwoofer with incredible sound to your home theater. And this is one of the best subwoofers under $200 range. This 8-inch woofer uses a long excursion cone for deep and perfect response. The MDF bass-reflex feature provides an internal bracing and the 26Hz to 250Hz frequency offers a pounding bass for your movies and kinds of music. The PSW-8 from Acoustic audio is one of the new and superbly powered subwoofers for home. This 8ninch down-firing subwoofer comes with a glossy design which can allure you for sure. It comes with an inbuilt amplifier, down-firing speaker and a bass reflex enclosure. The down-firing speaker circulates the bass equally in all directions, which is usually placed on the bottom of the subwoofer enclosure. 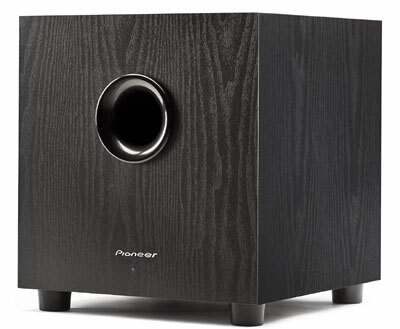 Whereas the built-in amplifier allows the subwoofer to offer a clean, crisp and powerful bass sound. It also furnished with a high rigidity PVA treated cone for an accurate and intense response. It comprises of a ported cabinet for protection against those high volumes. Acoustic comes with five different sizes such as 6.5 inches 8 inch, 10 inch, 12 inch and 15 inches. You can choose the best one as per your requirements. The frequency rate of this subwoofer is 26Hz to 250Hz with a peak power of 300 W.
Whereas it comes with an impedance rate of 8-ohm and the sensitivity rate of 97db. With this, you don’t have to push the buttons manually due to this auto on and off switch. This can be an impressive add-on to your home. Apart from that decorating part if you like to mount a subwoofer on the wall or ceiling for saving the floor space, then this one is the best option for you.. The Pioneer TS-WX1210A subwoofer comes with the most effective built-in amplifier with a good performance. The 12-inch subwoofer comes in a sealed enclosure for tight bass. The built-in amplifier provides a peak output of 1300 W along with a continuous output of 350 W. The Pioneer TS-WX1210A is one of the most powerful best subwoofer under 200 dollar range in this category. It is the best affordable subwoofers with good performance and sound quality. 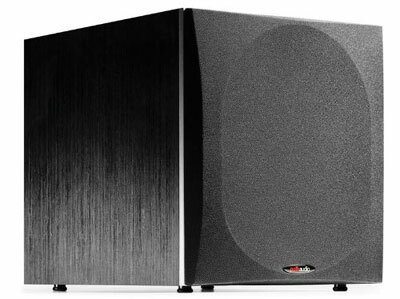 Performance wise, this subwoofer is too good with a few marks on the maximum level. But if you compare with the same specifications of other brands then you will find this quite good as per its price. The size of this subwoofer is big enough to broadcast the sound. And it offers the best performance with the maximum volume. The bass is quite loud and sweet which can be handled for long periods. The frequency response of this subwoofer is 20Hz which is on the lower side. It comes with six controls along with a crossover of 50-125Hz and bass boost between 40 and 100 Hz for extra-ordinary tuning. For controlling the volume you can access the wired remote. It’s also equipped with an easy to access knob for adjustment purpose. The actual size of the subwoofer is 26 inches long, 18 inches high and 12 inches deep. So the enclosure, as well as the woofer, needs lots of space. Still, this is one of the best subwoofers because of excellent performance, affordable price, easy controls along with outstanding bass level. If you are OK with the storage space, then you don’t have to go for a second thought before welcoming the best subwoofer for your living room. If you are looking for higher range subwoofer then visit our previous article on best subwoofer under $500. A subwoofer usually reproduces the minimal audible frequency and offers a bone-rattling effect along with a different sensation. OSD Audio IWS88 is an 8-inch dual polypropylene woofer with a 200 W power handling capacity is actually an in-wall subwoofer. It is quite excellent for home theater and for listening to music. It comes with a dog-ear bracket system with the speakers dropped into the cut-out hole. You can also paint the grille of this subwoofer according to your living room décor. With this subwoofer, it is sure that you will experience something thunderous. This is actually a passive speaker, so for powering itself, it requires a subwoofer amplifier. You can add an OSD SMP500 amplifier to power it up. It comes with two 8 inches injected polypropylene woofers, reinforced back bridge plate for high-quality bass. The passive amplifier houses a grille, a cutout template and a dog-ear system for mounting the subwoofer. It is furnished with a power rating of 350 Watt along with a frequency response of 38 to 500 Hz. With a sensitivity of 90 dB, this subwoofer provides an impedance of 8 ohms. 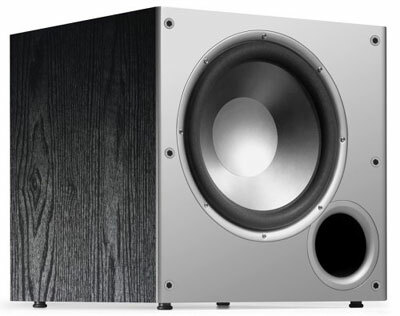 The OSD audio subwoofer comes with a size of 11-7, 16 x18-7, 8×4 inches. This is a great option for them who needs a wall mount subwoofer due to less floor space. And if you like to experience more bass along with your home theater then this one is perfect for you. Bic America f-12 is one of the best home theater subwoofers which comes with a front firing option along with a 12-inch long throw injection along with Dolby Digital inputs. It comes with high-level RCA inputs, magnetic shielding, gold-plated terminals as well as a patented venture vent to retain the noise at the inlet. It is furnished with automatic signal sensing, adjustable volume control as well as an adjustable crossover. The subwoofer comes with a dynamic peak power rating of 475 W. The frequency response of Yamaha SW300 is 25 to 200Hz with an impedance of 8 ohms. It comes with a size of 21 x 19 x 12 inches with a square built. 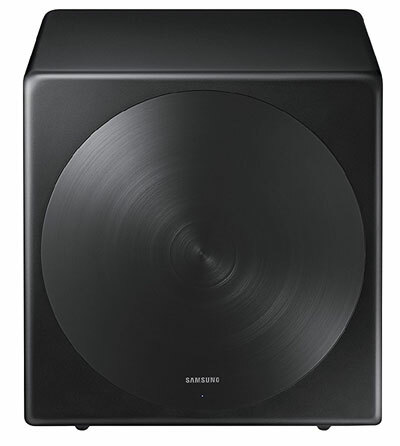 Samsung SWA W700 is the best available subwoofer that offers a clear and quality sound to your home sound setup. The ultra-deep 27 kHz bass response is a little bit lower, but can add an extra non-auditory rumble in your living room. 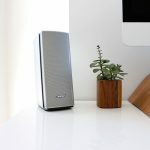 You can connect this subwoofer wirelessly, so you don’t have to place yourself in a certain room for enjoying the sound and bass of this amazing subwoofer from Samsung. With an exceptional body construction and superbly made cones, this subwoofer looks great and offers a terrific sound experience while connected to Sound plus. You won’t find any distortion with this subwoofer and there is a good level of bass and quality sound with Samsung SWA W700 for sure. If you are looking for good and stylish design with some good quality sound, then Samsung SWA W700 is a good option for you. Pioneer SW-8MK2 is the best solution for you if you are on a low budget. It is quite optimized to offer you the best sound with the option of custom designs. It is a down-firing subwoofer that comes with an 8-inch powerful cone and a side firing bass reflex port. With a 100 W of power and a frequency range of 38-150Hz, the subwoofer is quite agile and nicely built. Packs a down-firing 8“ cone that moves serious air. Onkyo SKW204 is a black and silver rectangular device that comes with a power rating of 230 W along with a frequency response of 25- 200 Hz. Onkyo SKW204 is one of the best subwoofer under budget. The size of this subwoofer is 10-3/ 16 x18-5/8 x16-7/8 inches. It is powered by the bass reflex and comes with a 10-inch cone. The other main features of this subwoofer are its auto standby, a phase invert switch, and crossover control. With the phase inverter switch, you can tune the bass output of the subwoofer and attain the best bass performances. With the standby option, you can put the subwoofer in standby mode in case of any fault with the unit. 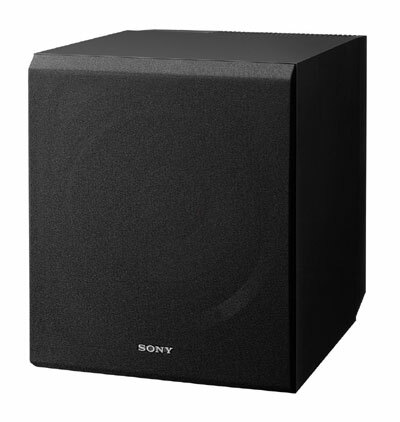 The Sony SACS9 is a 10-inch steel-clad and cellular foamed mica woofer. It comes with a line level and speaker inputs, RCA cord, and cone diaphragm. The main purpose of this cone diaphragm is to generate low-end resonance for the better bass experience. Sony SACS9 comes with a wooden covering enclosure which can match your interior with its gorgeous black finish for sure. It comes with a power rating of 115 W and with a frequency response of 28 to 200 Hz. It has an impedance of 6 Ohms. The Sony SACS9 is a great option for those who need an extra sound and heavy bass quality music, as well as for them who finds it quite difficult to fix large subwoofers due to limited space without compromising the sound quality. Yamaha has a good range of subwoofers in the midrange and all these are quite good in terms of performance. Yamaha YST-SW215Pn is one of these mid-range subwoofers which comes with good features, excellent performance, and great efficiency. With a nicely built feature, it is quite good for those who want an optimal setup of the subwoofer for their home. It comes with an 8-inch cone along with a 250 Watt amplifier. The whole setup of this subwoofer is quite striking. It is equipped with Yamaha’s QD Bass technology and Active Servo tech to provide some matchless performances. The frequency response range is 20 to 170Hz which is quite good for deep musical experience. The Polk Audio PSW505 is quite suitable best budget home theater subwoofer for bigger rooms and can offer you a great bass effect with its amazing performance. This 12-inch subwoofer is quite affordable and you can use this for controlled and discreet sound as well as a medium of thunderous sound during your parties. It is a great option for your home entertainment system at a cheaper price. It can go well with your home speakers and offer the much-needed bass to enjoy your favorite movies and music. The subwoofer comes with a 12-inch long throw driver for a relatively longer excursion. It is equipped with a good set of vents which is used to minimize the turbulence and distortion and to provide clear-cut sound. This sturdily built subwoofer comes with a front baffle of one inch thick for better robustness. This type of built quality dominates the resonance of the enclosure panel. For better strength, this subwoofer is furnished with sturdy feet, which prevents the movement of the device through the floor. Polk Audio PSW505 comes with a crossover, a volume control option as well as a phase switch. You can also find the auto on-off feature which can trigger the subwoofer when it receives any signal. The subwoofer will turn it down by itself in case of no signal within fifty minutes. If you are searching for a subwoofer within the range of $ 200 along with powerful sound, then Big Maerica V 1220 is the best option for you. Big America is not much renowned in the audio segment, still, you can be pleased with its performance for sure. This long-throw 12-inch subwoofer comes with a peak power of 430 Watt along with a running power of 200 Watt. 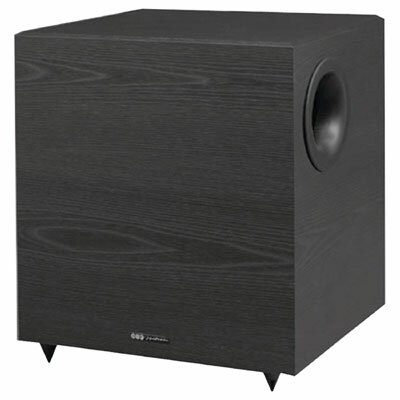 The sensitivity of this subwoofer is 86 dB and offers a deep bass. It is equipped with the Venturi vent to eradicate all those port noises. There is an adjustable crossover, a Dolby Pro Logic, and Dolby Digital inputs as well. It is also furnished with automatic signal sensing to turn on the unit in case of any input. The Big America V-1220 houses a polypropylene woofer cone, along with a rubber material to prevent the distortion. It holds an impedance of 8 ohms. 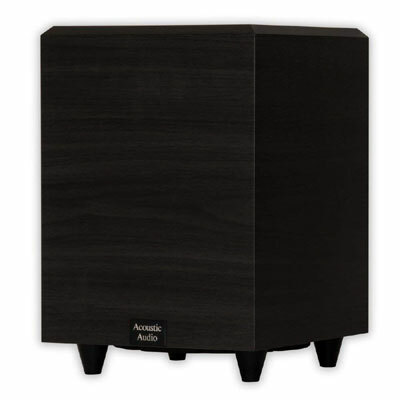 This elegant subwoofer is shielded in a wooden frame and comes with a black laminate finishing. It offers a premium look irrespective of the price tag. The first impression of this subwoofer is quite amazing. And with the continuous use, you will find it more and more useful due to its power-packed performance and built. 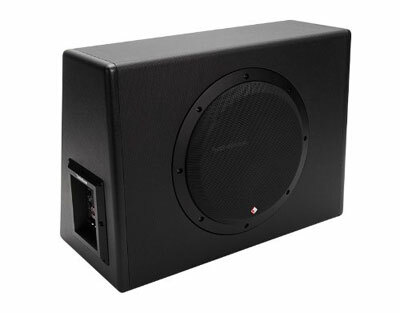 Rockford is a reliable and renowned brand which comes with a 12-inch long subwoofer with excellent performance. Its 300 Watt amplifier is quite good to offer the best bass. It is furnished with a wooden structure and much durable, resistant to any sort of blows. The enclosure of this subwoofer is broad and closed. It is equipped with 12 AWG terminals for input. It comes with remote control through which you can control the bass level. You will find a detachable connector with this subwoofer as well. It provides the users with distinct inputs for low and speaker levels. There is an option of auto-voltage safety feature along with a low pass crossover for improved output. With this subwoofer, you can receive high efficiency with low supply. It works well in the case of low voltage and current. You will experience great efficiency of Rockford Fosgate P300 with its closed-loop design. There is a vinyl cover on the subwoofer, which goes well during the heavy use. It is also equipped with an auto on-off switch for easy operation. If you are searching for a subwoofer for your home with a proper bass, then MTX Audio Terminator series TNE212D is one of the best options for you. It also comes under the list of the best subwoofer under $ 200. You can enjoy any sort of music with a subwoofer. 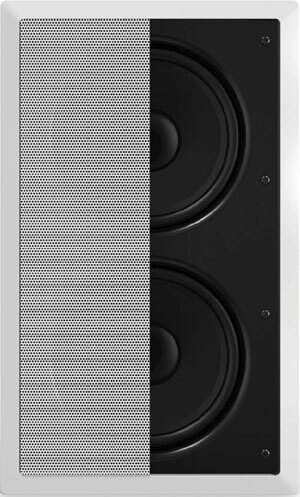 This single enclosure subwoofer is around 12 inches and offers a dual system. You can connect this with any system as per your requirement. Its dust cap enclosure is built with polypropylene material and quite lightweight as well as long-lasting. With a maximum power of 1200 Watts, this subwoofer comes with a peak power of 800 Watt. It also furnished with an aviation carpet to cover the enclosure. It is quite tough to choose a subwoofer as there are numerous subwoofers and hundreds of companies out there. 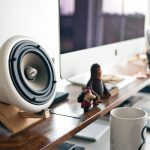 The buying of a subwoofer mainly plays around some significant aspects like the brand, ease-of-use, features, performance and sound quality. Here is a buying guide for you, which you can take as a reference while going for a subwoofer. So watch out for the aspects to look for in a subwoofer. A good subwoofer has to qualify this feature first of all. It has to be powerful. So whenever you are selecting the best subwoofer consider these points. The performance of a subwoofer is highly dependent on the peak power. And the peak power is the rating of the maximum voltage that a subwoofer can handle in short bursts. So consider this while opting the best subwoofer. The RMS rating is the mode of measuring the total handling power of a subwoofer in one go. And this is another crucial aspect to determine the capacity of a subwoofer. The handling and performance of a subwoofer are much dependent on the power rating. In addition to that, you should use an amplifier that goes well with the power rating of your subwoofer. There are different dimension and sizes of subwoofers. And keep this in mind that the size of a subwoofer influences its performance. On the other hand, it is quite a tough task to install the bigger ones, and transportation is also another difficult task. So it is better to go for a smaller size subwoofer without compromising the sound quality. You can go for the below-sized subwoofers as per your need. 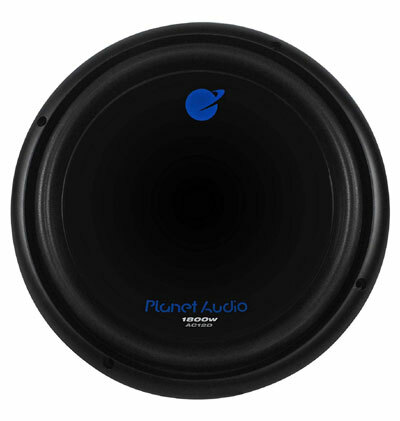 The 12-inch subwoofers are comparatively smaller, with this you can get a powerful bass along with good power. It comes with an easy installation feature and offers good performance. 15-inch subwoofers are much bigger and require much space. You can feel the loud sounds, teeth rattle even with the slowest volume mode. You have to be extra careful while installing such subwoofers. But performance wise it is quite good as the larger the size of a subwoofer the more air it will push. But it will occupy the large space because of its larger box. It is not suitable for those who travel frequently. So it is exclusively for a home with an ample amount of space. And these heavier subwoofers are not suitable for your car as well. You can search for an affordable subwoofer for yourself, but the setup cost can be expensive due to the additional costs like buying an amplifier, connecting cables and enclosure. So while buying a subwoofer you have to be extra careful and choose the most vital component as per your budget and requirement. Keep this in mind that the performance of a subwoofer is not proportional to the cost. You can find a cheap model that is capable of excellent output. And you can have a number of options if you go for those cheaper ones. It is also a great choice for the starters as well. You can start with a cheaper one and add different configurations with your subwoofer for better performance. So just figure out the best and affordable ones before buying the best one for you. The expensive subwoofers usually comprise of the better cone and high power. But, while going for the expensive ones then first consider whether it is worthy or not. The high-quality cones are quite better in terms of performance due to their built. These are free from any sort of vibration as well as distortion. In many cases, they are robust and less likely to sag. You can use these subwoofers for a long time without any difficulties. They can also have a maximum RMS rating and peak power. Another important aspect to watch out for is the placement of your subwoofer. The performance and optimum result are highly dependent on the placing of the subwoofer, your room size, floor type, wall construction as well. The living room is the place to keep your subwoofer. On the other hand, you have to watch out for your room capability to afford a subwoofer. If you don’t have much space, then it is quite odd to go for larger subwoofers. In this case, you can opt for the smaller ones. On the contrary, if you have a large space in your living room and can afford the bigger ones, then go for the expensive and the larger ones for best sound quality and performance. The subwoofers under $200 price range are quite good and there are numerous options to go through. It comes with a good price and performance ratio. In today’s era, there is a huge requirement of subwoofers by those music lovers and who likes to give their home theater a different experience. 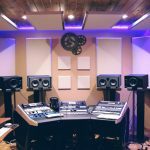 You can opt for the subwoofers depending upon the place and you can opt for floor, wall or ceiling mount subwoofers as per your requirement. 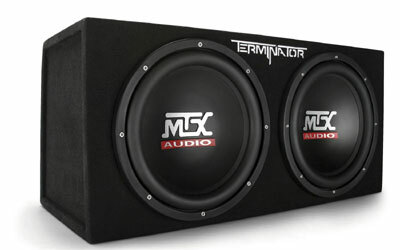 You can use these subwoofers for your cars as well to enjoy your favorite music with good quality bass effect. Most of the brands in the above list are the key players in the subwoofer category. They are the major manufacturers all over the world. The list has been made according to the power rating, features, mounting style. size and design. They are quite good inbuilt and possesses a good design. So choose accordingly as go through this guide for a better reference before buying the best subwoofers under $200.